Educational institutions, particularly the K12 are stuck between a rock and a hard place. They are always in search of ways to open up newer technologies to students, but don’t want to give up their ability to manage and filter what students can see or do. As a father of two I approve that. While Chrome OS does take security very seriously and tries very hard to discourage “man in the middle attack”, it does provide an industry tested feature to allow educators to filter web content for students in its recent version of Chrome OS. To understand how it works in Chrome OS, I’ll first explain how the Chrome OS works internally. Chrome OS devices, as most of you already know, has two distinct components. The Chrome browser is what provides most of the UI, but deep inside it also has an operating system built on top of linux. Among other things that OS is responsible for, auto-updates and security are two of the most important. The web filtering feature which Chrome OS provides for our enterprise and schools users allows all “user session” traffic from the browser to be intercepted, but doesn’t allow any of the system requests to be intercepted in the same way. To get a chromebook to work correctly in an environment with webfilter, its important to let webfilter know which hosts chromebook would connect to for which it won’t tolerate SSL inspection. Google has published a set of domain names here which can be used for this purpose. Note that whitelisting by IP addresses (netblocks) is not good enough. The IP addresses mapped to these hosts keep changing and the only reliable way to whitelist them is by whitelisting the domain names as it is. Most webfilters (including some transparent webfilters) support this and if you are not sure, contact your proxy/webfilter provider to understand how to do it. manager under “Authorities” and make sure you enable “Trust this certificate for identifying websites.” Then go to any website which you think should be intercepted and try to see if browser threw any error. Even if it didn’t throw an error, check at the certificate details and confirm that it was signed by your webfilter. 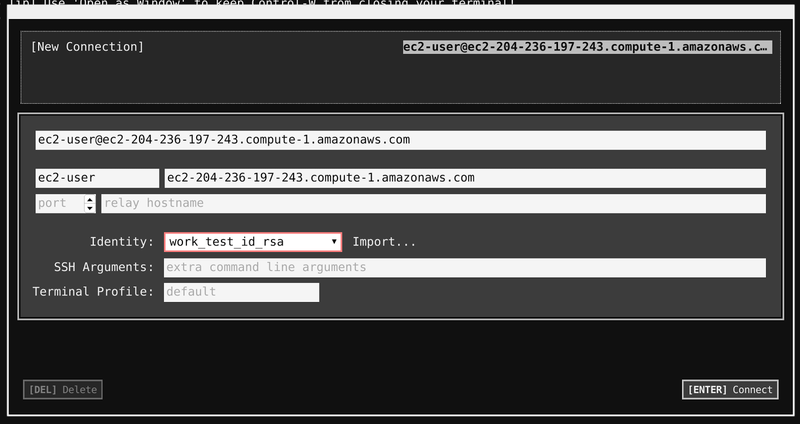 Once the tests confirm that everything is working as expected, its time to do a broader test using management console. To prepare for this test, I would recommend picking a small set of users who are are ok with brief interruption (in case something goes wrong) and are willing to provide you with detailed feedback to help you debug the issue. Upload your certificate and check the box for “Use the certificate as an HTTPS certificate authority”. The example on the right shows my setup where I’m using zscaler’s cloud based webfilter. The final test to make sure this is good, would be to move these users to a network where there is no direct network access. Have them be forced to go through the proxy/webfilter and see if anything breaks. Let this configuration stay like this for a few days/weeks and collect feedback on whether users noticed any other side effects. For example make sure devices are getting updates (which is critical) and that user users can be added any time. Once everything has been tested, apply the certificate to more and more OUs until the transition is complete. Even though this policy is being applied as a user policy, it will only work on devices which are enrolled to the same domain. This is one of the most common reasons for the feature not working. This also means that if the device was unenrolled, it may cause network connectivity failures. Since this is a user policy, other users using the same device will not get this feature automatically. Each user has to be moved into an OU where this certificate is installed. 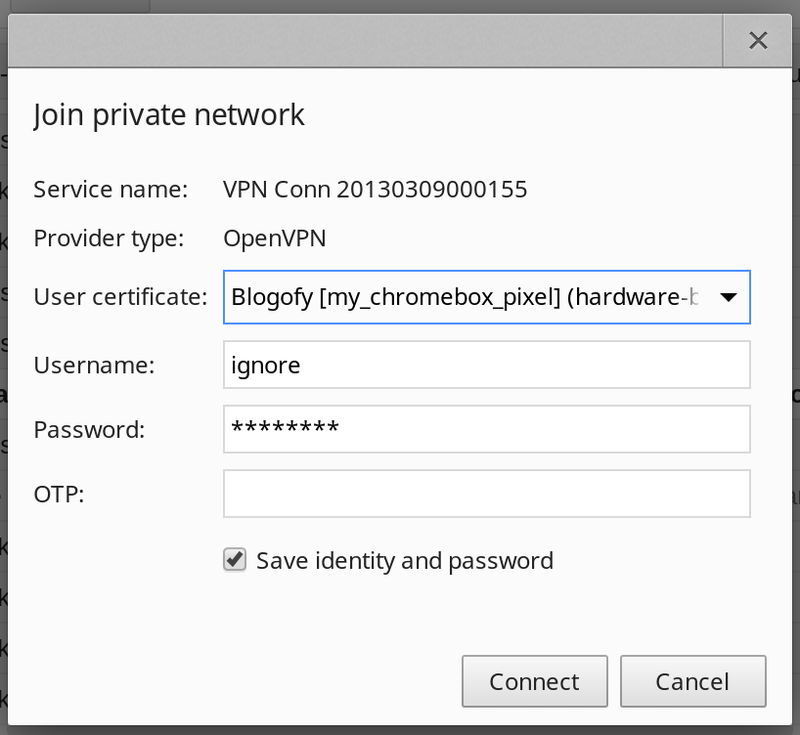 Configure Chrome Devices with third-party SSL web filters. Chrome Devices have been a huge success in places like schools where students and teachers want the mobility and price point of a tablet but usability of a laptop. Like everything else Google focuses on scale and part of the Chrome Device offering to enterprises and schools are the tools around the devices to manage the fleet. Chrome Device management can be centralized which allows admins not only manage apps on the device, they can also push complex network and system settings with a touch of a few key strokes. And that works the same way for a customer with 10 devices and one with 20000. Recently Google released a new batch of APIs called the Admin SDK which includes some new APIs to discover and manage devices in the fleet. Using these APIs, admins can not only get a list of the active devices they have, they can also find out if the devices are having update issues. As an example of how to use this API, I’ve published a sample script called “ChromeOSDeviceStats” which I wrote for my own domain. This could be used to quickly get high level stats of devices in the domain, when they were enrolled, what version they are on, and what Orgs are they part off. The script could be further adapted to automatically send email reports like these when certain conditions are met. For example, if a school is interested in knowing about all recent “enrollments”, they could enhance this script to send that report. This is more of an embarrassing tale than a real how-to document. But I found this interesting enough that I don’t mind sharing it. A couple of weeks ago I was tasked to capture wifi traffic from a device which didn’t have any capture software built in and I wondered how one would do it. I have used sniffing tools on my Mac to passively sniff activity on access points around me. Because I’ve always tested such tools in places with dozens of access points with multiple saturated channels, I always assumed that all wifi stations ( laptops ) frequently switch channels. I also assumed that AP (Access points) which are setup to select channels automatically are designed to automatically switch channels anytime if they find a better (less noisy) frequency to provide services at. And because of those incorrect assumption, I concluded that sniffing another wifi station would be a difficult task because it would be impossible to dynamically change the channel of a second wifi station to follow the first one to correctly sniff all the packets. After a short discussion with a colleague I found out that most wifi stations don’t really switch AP points unless the noise to signal ratio gets too bad, and most APs never change channels once they are fully initialized. At the end, to sniff one device, all I had to do is keep the second device close to the first one and make sure that the second one joins the same channel as the first one. For my tests I used open wifi AP which were easier to capture/decode. At this point, if your hardware is capable of promiscuous mode and you have the right software for capture, u should be able to put in a filter with the mac address of the device you want to capture to initiate the process. Chrome frame intentionally does stuff without getting in the way of the user. This sometimes makes things harder to debug. For example how can one debug an issue if chrome frame doesn’t even launch ? Apparently there is a flag for that. But you have to know how to enable it. Here are the steps. Make sure chrome frame is installed. Restart IE and go to “gcf:about:version” and confirm that the parameters you added show up next to “Command Line:”. If this doesn’t work… skip this step and go to next step anyway. Locks were considered very secure until the first lock pickers got their hands on it. Phone system were secure until the John Draper discovered some use for the toy whistle in Captain Crunch pack. Infact even the creators of internet didn’t think of too much security when it was initially designed. Its the commoditization of technology which sometimes brings about the worst of all security bugs. And I believe the next round of changes are coming very soon. Until very recently radios were built for a purpose and they rarely did more than what it was supposed to do. Think of them like the early computers which took a whole room and could only do only type of a job per computer. Todays computer can do all kinds of stuff and unlike the older versions, they don’t need to be rewired physically to make them do a new job. Everything is done using software. Wikipedia does a good job at defining what this is. A software-defined radio system, or SDR, is a radio communication system where components that have been typically implemented in hardware (e.g. mixers,filters, amplifiers, modulators/demodulators, detectors, etc.) are instead implemented by means of software on a personal computer or embedded system. While the concept of SDR is not new, the rapidly evolving capabilities of digital electronics render practical many processes which used to be only theoretically possible. A group of individuals figured out that some of the TV tuner cards can not only be reprogrammed to listen to a wider range of frequencies but could be driven entirely using software which could make it look like an all purpose radio receiver. Interestingly that USB tuner costs only about USD 20. PaulDotCom mentioned SDRs in one of the talks as well but he went further and pointed out that SDRs could also be used to send signals which makes it significantly more dangerous. One of the worst examples he gave was that an SDR could be reprogrammed to generate fake transponder signals. They pointed out that modern aircrafts do listen for transponder signals from other nearby aircrafts and some of them are programmed to take automatic sudden evasive measures when it detects another aircraft close by. The point is not that terrorists can attack airplanes this way… they could do it today by buying and reprogramming a real transponder. The point is that this technology will become so cheap that anyone would be able to do it with just a computer and a simple SDR transmitter. I’m not really sure how good Transponders are with respect to security.. may be it has a good secure way of authenticating the transmitter. In which case all is good. But if thats not happening today, it will change at some point when this technology becomes as easy to disrupt as DNS is today.